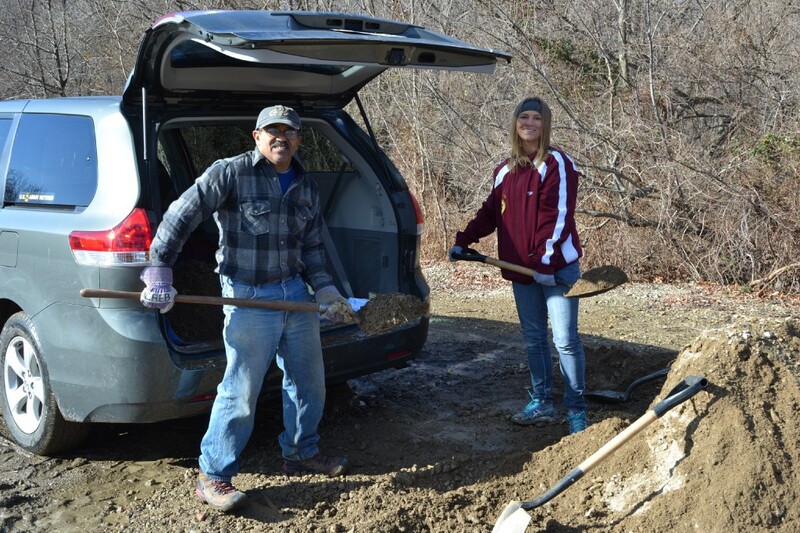 Cherry Hill Township will have volunteer opportunities available at the Croft Farm Arts Center beginning at 10 a.m.
George Rodriguez of Moorestown and Jackie Nimah from the Cherry Hill Environmental Board fill a minivan with dirt at Croft Farm during a Martin Luther King Jr. Day of Service project in 2015. Cherry Hill residents of all ages have an opportunity to give back to their community on Monday, Jan. 16 during Cherry Hill Township Martin Luther King Jr. Day of Service. The township is collecting items to donate to the Woodford Cedar Run Wildlife Refuge, Cherry Hill Food Pantry, Cathedral Kitchen and Little Hands Little Feet. Donations bins will be set up inside the lobby of the Cherry Hill Township Municipal Building and the Cherry Hill Public Library. Donations are also being collected at the Croft Farm Arts Center through 9:30 a.m. on Jan. 16. There are also volunteer opportunities available on Jan. 16. Anyone who wishes to volunteer or any organization in need of volunteers can call (856) 488–7868 or email events@CHtownship.com.